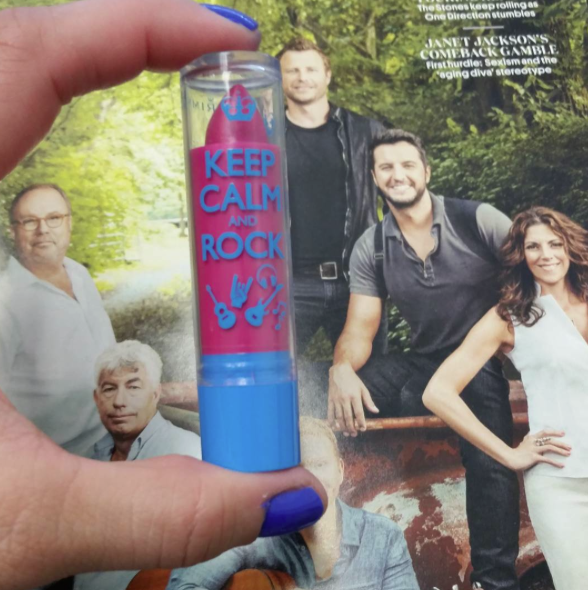 Rimmel London Keep Calm Lip Balm. I have two shades. This one is Berry Blush. It’s vibrant but not messy. No lip liner needed to apply. The color stays on pretty good. It’s just that pop I need for a day in the office or an afternoon out and about with the family. Make a statement without being overly dramatic with this shade. Please note that I took this photo in front of Rolling Stone magazine featuring Luke Bryan and Dierks Bentley because we can all enjoy a little eye and ear candy! 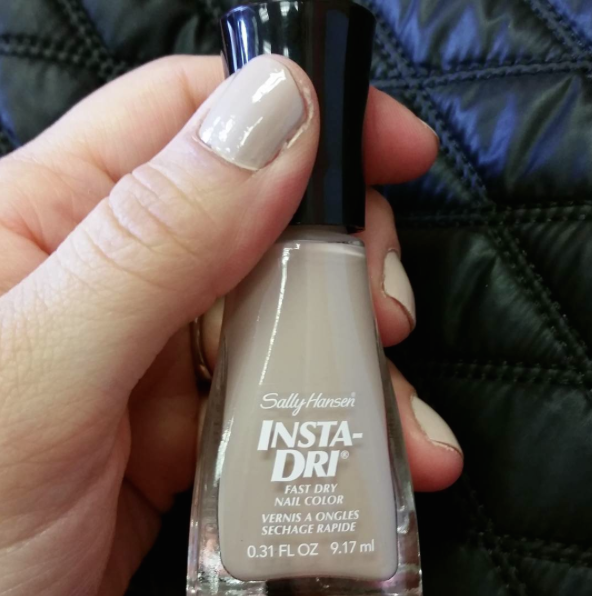 I love Sally Hansen Insta-Dri polish because I can paint my nails during my lunch break. I choose neutral shades most of the time because I like the clean, fresh look and I can get away with chipped polish a little bit if I don’t have remover within reach. The only downside is that Insta-Dri polish chips easily and only lasts a few days. So it’s good for a pinch, but not a weeklong vacation. I just tried pairing it with Essie Gel Setter finish so we’ll see if it holds up a few extra days.